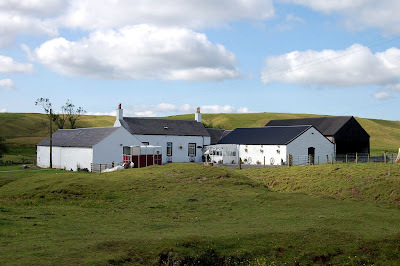 INDEPENDENT property consultancy CKD Galbraith’s Ayr Office is marketing a lovely small farmhouse and steading in a totally unspoilt and secluded private situation in the Valley of the Greenock Water in East Ayrshire. Greenockdyke Farm is remotely situated in about 7 acres with superb panoramic views, deep in the hills of central Southern Scotland. 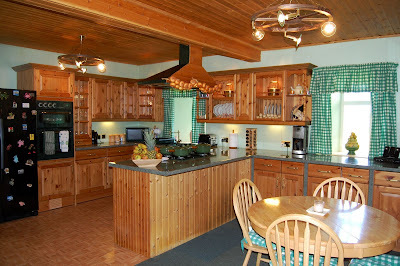 The farmhouse, which is in immaculate condition, provides spacious and extensive accommodation, whilst maintaining the traditional charm of a typical Scottish steading. 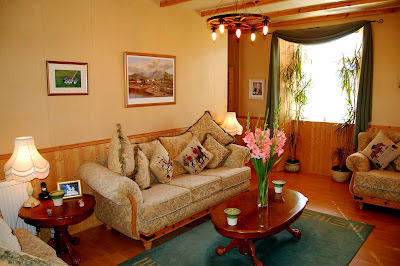 There are 4 Bedrooms, Living Room, Dressing Room, fine fully fitted Kitchen and a large Conservatory. The attractive courtyard is bounded by useful farm buildings containing a stable block for 5 horses, byres and a hayshed. Nearby, Tibbie’s Brig was built in 1793 as a crossing point on the Garpel Water to replace the ford which had been used up until then. Although originally called simply “Garpel Bridge”, it was later renamed to commemorate Isabel “Tibbie” Pagan, a local poetess who lived in Muirkirk and was an acquaintance of Robert Burns. Today the pool beside the bridge is a favourite spot for locals to swim in, and there is a small monument to Tibbie on the river bank. A network of way-marked footpaths in the area allows adventurous birdwatchers to extend their explorations to the surrounding moors, hills and glens. 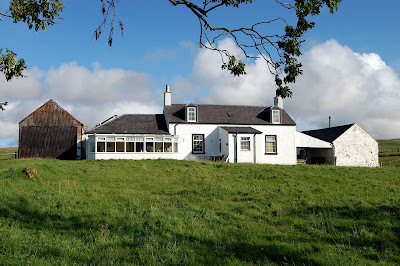 Despite its seclusion, the proximity of the area to national motorway links means that Greenockdyke Farm is readily accessible from many other parts of Scotland, thus providing an unusual balance between commutability and rural idyll. Greenockdyke is marketing at a Guide Price of £330,000. CKD Galbraith is an independent property consultancy specialising in serving the needs of private clients. It employs over 130 people in offices in Edinburgh, Glasgow, Perth, Cupar, Inverness, Aberfeldy, Castle Douglas, Ayr and Elgin. There are currently 636 Ayrshire business stories permanently archived on this site. To locate those of most interest to you, please use the site search facility in the top left hand corner of this page. Type your search term in the white box, then click the magnifying glass symbol.